SWAT Kats related fan fiction can be posted here. The SWAT Kats face off against Turmoil, however, they also deal with someone they know who has become in league with Turmoil and has gone over the edge. 1. Harry Whiskas -A lieutenant who heads the Enforcers detective division. Ten years ago, he was the partner/mentor of Ulysses Feral and is a much more experienced detective. Feral and Whiskas are close which is why Feral has decided to make Whiskas commander in case anything were to happen to him. Like Feral, Whiskas is a hardened enforcer of justice. 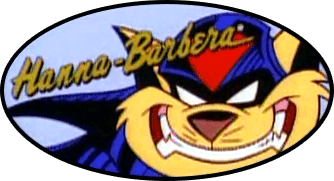 Unlike Feral however, Whiskas condones the SWAT Kats' actions and has no problem with bending the rules. Despite this, he is loyal to the Enforcers and willing to put his life on the line for them. He has been inspired by the Gotham character Harvey Bullock and resembles Donal Louge as well as sounds just like him. 2. Theia Feral-Commander Feral's sister, Felina's aunt, and an FBI agent sent by the Bureau to help deal with Turmoil. Like Feral, she is ruthless and arrogant. Unlike Feral however, Theia believes her being an FBI agent makes her superior to Mayor Manx, believes she is above the law, immoral, and dishonorable. She even considers the SWAT Kats to be cowards because they were masks. She has been inspired by Agent Watson from Arrow and resembles Sydelle Noel. 3. Mario Katpulet-An Italian arms dealer from Miami who has come to do business in MegaKat City. 4. Thaddeus Feral-The former district attorney of MegaKat City. He is the father of Feral, Theia, Feral's brother, and the great grandfather of Felina. 5. Frank Hardy-The deputy director of the FBI and Agent Feral's boss. He doesn't like Theia very much and he condones the SWAT Kats' activities like Whiskas. He is also considered to be famous for bringing down serial killers that every Enforcer branch in the country have trouble bringing in, such as the Pawshington Sniper. He is inspired by Agent Lundy from Dexter and resembles Keith Carridine. 1. In my version, Feral learned from his mistake of trusting Steele and made arrangements so that Whiskas, an experienced veteran and former mentor, would become commander if anything were to happen to him. 2. I borrowed some stuff from Cry Turmoil and Turmoil 2: The Revenge. T-Bone and Razor are two masked vigilantes known as the SWAT Kats. Their real names are Chance Furlong and Jake Clawson, who former members of the Enforcers, a militarized police force, until they were wrongfully dismissed and forced to work in the salvage yard by Commander Ulysses Feral. The two friends discovered that the Enforcers have been disposing their technology in the area and they decided to use that to their advantage to become vigilantes. In the present day, Commander Feral and the Enforcers attempt to bust an arms deal supervised by mobster Mario Katpulet. However, the SWAT Kats were able to intervene and prevent the deal from happening, thus, having Mario arrested. Feral became enraged that the SWAT Kats interfered with a raid that he spent months planning and wanted to have them arrested, however, Deputy Mayor Callie Briggs forbid it by threatening to convince Mayor Manx to relieve Feral if he did. Lieutenant Felina Feral even scolded Feral for attempting to have the two arrested. The SWAT Kats then left teasing Feral. Feral later brought Katpulet to Enforcer Headquarters to be processed. However, the district attorney had no choice but to release Mario when Mario provoked Feral into hitting him by mocking him about the SWAT Kats. Feral later was in his office depressed until his former mentor and friend Captain Harry Whiskas came to comfort him when Feral was at his breaking point. Feral then got even angrier when Whiskas admitted that he found the SWAT Kats to be necessary when the Enforcers were unable to handle situations. Feral had faith in the laws, however, Whiskas also admitted that he wouldn't mind some vigilantism in MegaKat City. Feral then left his office fed up with Whiskas. Later when going home, Feral is abducted by Turmoil, the leader of a group of female military pilots. Turmoil has admitted to studying Feral and tempts him into a life of crime by mentioning the SWAT Kats and the issues he has with Whiskas, Briggs, and Felina. Feral agrees to accept Turmoil's offer to be her second-in-command by impulse, however, he secretly becomes disgusted at himself for agreeing with her. Turmoil then gave Feral a tour of her airship and Feral became impressed with all the technology that Turmoil had. Feral then became addicted to the power that Turmoil had. Turmoil and Feral use their Vertigo Canon, a dangerous ray emitting weapon that can cause pilots to experience nausea and lose control of their aircraft, on a pilot of a commercial airliner. Due to the quick actions of the SWAT Kats, who are the area, save the airliner and make it have a safe landing. Felina then congratulates the vigilantes for good work and then Turmoil made her demands, wanting 2 million dollars in gold per week from MegaKat City. Felina attempted to arrest her, however, Turmoil launched her weapon at Felina. Fortunately, Felina is rescued by the SWAT Kats. Feral was shocked that Felina almost died, however, that immediately dissolves away and Feral used the Vertigo Canon on the SWAT Kats when they attempt to engage her forces. Fortunately, the SWAT Kats survive by launching parachutes from the back of their TurboKat, which provided a drag force making them land safely. Turmoil then congratulates Feral for what he did. At City Hall, Felina, the SWAT Kats, Whiskas, Manx, and Callie were meeting to discuss what should be done about the situation. Because of Feral being nowhere to be found, Harry Whiskas was appointed to be the Acting Commander. Because of his experiences, Whiskas was not in favor of Manx giving into Turmoil's demands since Turmoil will only want more money. Suddenly, they get approached by a female whom Felina is shocked to see. That female is actually Felina's aunt and Feral's sister, Theia Feral, an FBI special agent. Theia revealed she was sent by the FBI to assist in bringing down Turmoil since local law enforcement was ineffective in doing so. Theia then noticed that the SWAT Kats were present and demanded to know from Manx why known criminals were in his office. This offended T-Bone until Razor calmed him down. Callie then stood up for the SWAT Kats in front of Theia. Theia showed no signs of anger and calmly told Callie that they would deal with this after dealing with Turmoil. Due to being the acting commander, Whiskas revealed his code red "doomsday Key". Manx also carried an identical key. The two use them to fire surface-to-orbit missiles at Turmoil, however, the attack failed. Turmoil then increased her demand from $2 million in gold to $50 million in gold instead. Manx agreed to Turmoil's terms, which Whiskas grudgingly obeyed. Manx and Whiskas then earned Theia's ire since Theia believed them to be incompetent. T-Bone and Razor then left in the TurboKat to pay the ransom. Theia rudely admitted to disliking the fact that the Mayor was trusting two vigilantes with most of the city's treasury and Manx was worried about the gold since he would have to raise the sales tax if anything happened to it. When T-Bone and Razor arrived with the ransom money, Turmoil granted them access to her ship. Feral and his female commandos then captured the Swat Kats after ordering them to put their hands up. Meanwhile, Theia contacted FBI Deputy Director Frank Hardy to bring some agents to City Hall while Manx and Callie were paying no attention to her. Theia then told Felina that after all this, she will arrest the SWAT Kats. On the ship, the SWAT Kats were then handcuffed and Feral made plans to push them out to their deaths. Feral then remembered flashbacks to when his father Thaddeus Feral was the district attorney of MegaKat City. Feral remembered Thaddeus showing him his ring that read: "While we live, we will defend" in Latin. However, Feral sabotaged their handcuffs making the SWAT Kats survive their fall by using their Glovatrix to get back onto the ship. T-Bone, Razor, and Feral then escaped into the TurboKat and T-Bone revealed that he planted a bomb on Turmoil's ship. The bomb then exploded and the female commandos aborted only to get arrested by Whiskas and the Enforcers. Turmoil attempted to escape only to get captured by the SWAT Kats. When Feral and the SWAT Kats arrived with Turmoil, Theia and the FBI attempted to arrest the SWAT Kats for vigilantism. However, Deputy Director Hardy delayed the arrest and told Theia that the Bureau only sent her to bring in Turmoil, not the vigilantes. Since their was no warrant to arrest the SWAT Kats, Hardy had to let them go. Theia then demanded to know from everyone how they could worship the SWAT Kats since they hide their faces in masks and called them cowards like Manx. Theia then announced she was returning to Pawshington, however, she vowed to come back to bring down the SWAT Kats when she gets the chance. Hardy then told her to leave and congratulated the SWAT Kats for good work. Feral then told everyone that betraying Turmoil was his plan all along. Feral is then revealed to have Thaddeus' ring in his pocket and quietly thanked Thaddeus for making him not cross the line. He then left with Whiskas and Felina to get milk to celebrate. I could think of what would make Feral betray Turmoil eventually after getting addicted to the power, so I figured some inspiration from his hero (Thaddeus) would inspire him again. It's like in The Spectacular Spiderman episode Intervention when Ben Parker made his nephew see the light when the Venom symbiote was changing his behavior. What do you guys think? I also borrowed from stuff from Gotham with Gordon and his dad Peter.